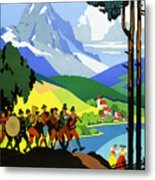 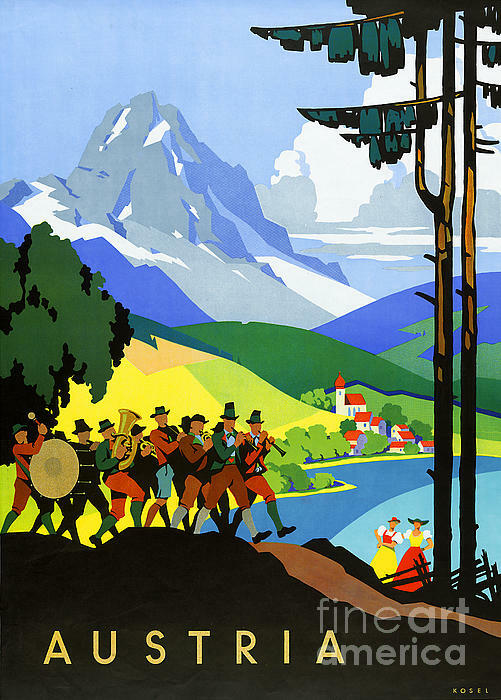 There are no comments for Austria Vintage Travel Poster. Click here to post the first comment. 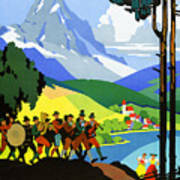 Restored and digitally enhanced, high resolution, vintage travel poster shows troupe of musicians marching alongside a lake with a town and mountains in the distance. Image courtesy Library of Congress.